You are here: Home » Update! The Swede Life Comes to Vancouver Island This Summer! Sorry I haven’t posted in awhile, as it has been a hectic last 2 weeks. 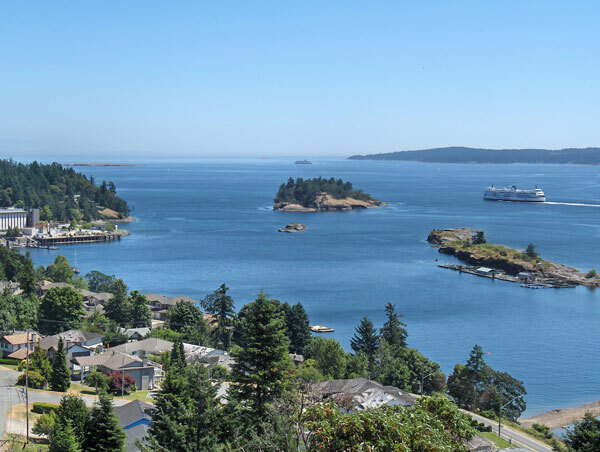 We are preparing to do a very long summer home exchange on Vancouver Island from June to September! We are excited to explore this area and see the beautiful nature Vancouver has to offer. We are privileged in that both Jan and I work from home, so we can live in different places for longer periods. Home exchange is a wonderful way to allow us to get the “local feel” of a place! This is our 3rd home exchange, and we highly recommend HomeExchange.com. Liberty Bakery (3999 Main St., Vancouver, 604-709-9999) – Owned by a Swedish and Canadian couple. I read they have delightful Princess cakes! Jolly Meats and Fine Foods – Scandinavian specialties in North Vancouver. This is my life’s pleasure to seek and find ethnic foods in a new region. I’m stoked to go to that side of North America, as it is our first time going to the Pacific Northwest. You’ll hear more from me once we’re there! ← Substitutes for Swedish Products and Hard-to-Finds in Toronto, Tips Welcome! Liberty Bakery (named after his wife, who comes from latin america) is a lovely bakery. Yes, you’ll find dammsugare and other Swedish delights there. Main Street, btw, is a funky part of town. Take a half day to wander up and down it. Liberty is around 21st Avenue. Between about 28th and Broadway you will find tons and tons of eclectic and funky stores and restaurants. It’s a great street to wander up and down. Jolly is tucked away in an industrial part of North Vancouver, by the shipyards. You will need a car to get there. It is a small and cramped place – mainly a butcher shop – but it is stuffed full of Scandinavian food that’s for sure. It’s an adventure to get there, but if you are looking for Nordic food, you’ll definitely find some there! When we lived in Surrey we had a twice a year trip to buy treats from Jolly Foods , we now live in Campbell River and can’t find the canned fishes and Rolle Pullsa and lefse and Sylte . Is there any suppliers on Vancouver Island. Hi George, you can order directly from Viking Foods (link on my Swedish Food page) and they ship ANYWHERE in Canada!